Belize City International Airport is a short non-stop flight away from many cities in the United States, Canada, and throughout Central America. See more information HERE. When booking your international flight, please be aware of your landing time. For the Muy’Ono Explorer, we recommend arriving to Belize City no later than 1:30 pm. For commuter flights, we recommend arriving to Belize City no later than 3:45 pm, as the last flight departs at 5:00 pm. 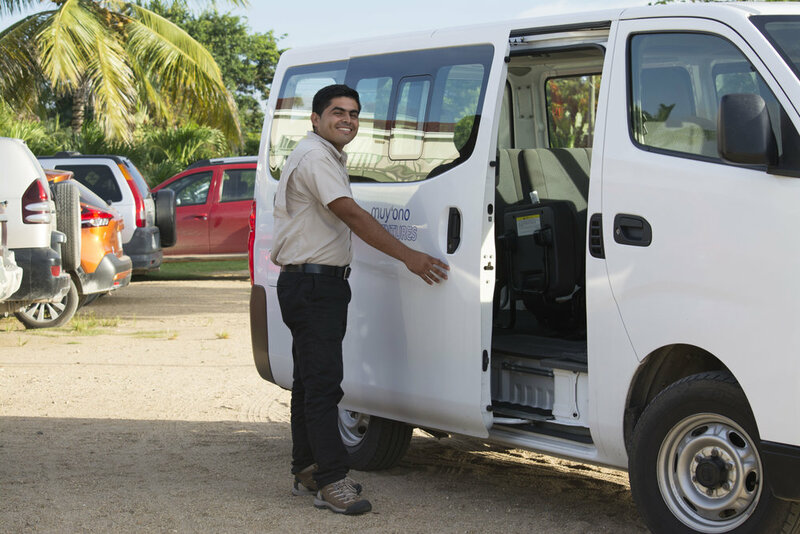 Your transportation across Belize doesn't have to be stressful, long, or boring. With the Muy'Ono Explorer, your arrival experience will be just that, an experience. You'll be greeted by the Explorer Captain at the Belize International Airport. Your exploration will start with an introduction to Belizean history and its cultures. The experienced tour guide will offer his suggestions on the best activities in the country and will be happy to answer any questions you may have. 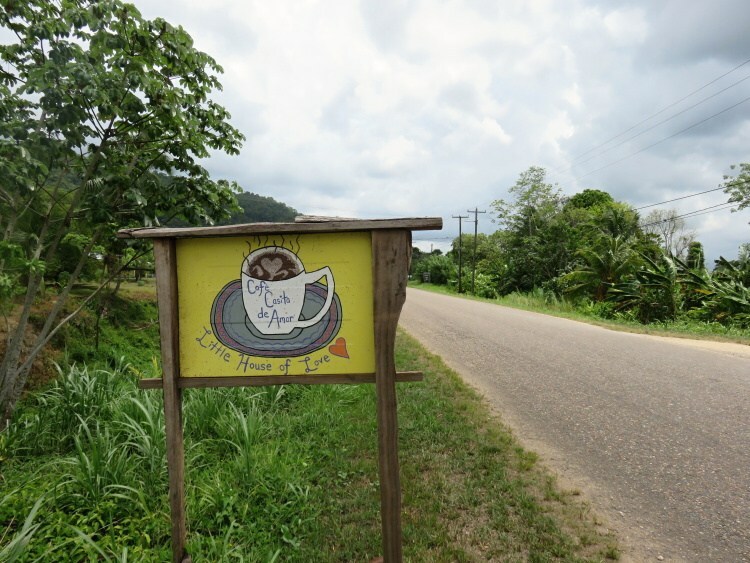 The experience will include a stop for local refreshments and dining at Green Hill Bar and Grill and a drive down the picturesque Hummingbird Highway. Just $150 USD per person, round trip! How Can You Secure Your Spot? 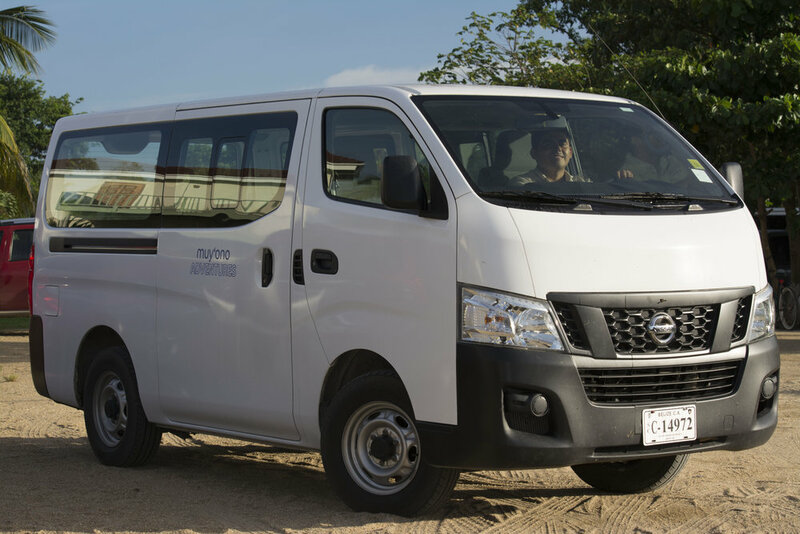 The 10 passenger tour van is available to all guests staying in Dangriga, Hopkins, or Placencia. Guests should arrive at the Belize International Airport by 1:30pm. The van will depart at about 2pm. The cost is just $75 USD per person each way, considerably less expensive than other transportation options and much more fun. The easiest way to secure a spot on the Muy’Ono Explorer is to book direct online below. You may also contact transfers@muy-ono.com. Once arriving to Belize International Airport (BZE), guests can take a short commuter flight to their resort destination. By booking your flight through Muy’Ono, you get complimentary flight changes coordinated by your reservationist. If your international flight is running late or rescheduled, just let us know and we’ll handle all of the commuter flight changes for you! Choose the transportation option you are interested in learning more about. Which resort will you be staying at?